China's industrial output expanded 6.8 percent year-on-year in May, slower than the seven percent rise in the previous month but still faster than the six percent increase in March, official data showed on Thursday. In the first five months, industrial output rose 6.9 percent, flat with that of the first four months, the National Bureau of Statistics (NBS) said in a statement. Industrial output, officially called industrial value added, is used to measure the activity of designated large enterprises with annual turnover of at least 20 million yuan (about three million US dollars). The service sector picked up pace, with its production index up 8.1 percent last month, quickening from eight percent in April. Software, information technology, and business services maintained robust increases. China's retail sales of consumer goods grew 8.5 percent year-on-year to reach 3.04 trillion yuan (about 475 billion US dollars) in May, a slight drop from the 9.4 percent rise in April, according to the NBS. In the first five months, China's retail sales of consumer goods grew 9.5 percent year on year, down 0.2 percentage points from the January-April period. Sales in rural areas gained 9.6 percent in May, outpacing the growth of 8.3 percent in urban areas. In the breakdown, the catering sector reported a 8.8-percent year-on-year rise in revenues, while sales of other consumer products increased 8.4 percent. Online spending continued to be robust, with sales surging 30.7 percent to reach 3.27 trillion yuan in the January-May period. China's fixed-asset investment (FAI) expanded 6.1 percent in the first five months of the year, down from seven percent for January-April. On a monthly basis, the FAI went up 0.47 percent in May, according to data from the NBS. China has a better investment structure and the economy is sound and steady, NBS spokesperson Mao Shengyong said at a press conference on Thursday morning. Private investment rose at a faster rate than overall growth. 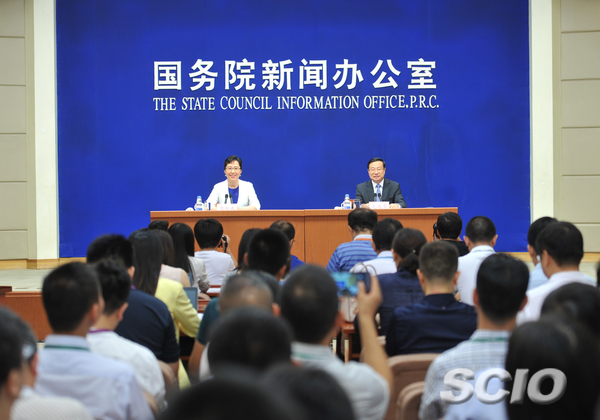 FAI by the private sector climbed 8.1 percent year on year in January-May, up 1.3 percentage points from the growth in the same period last year. Investment in manufacturing grew 5.2 percent in the first five months, up from 4.8 percent for January-April. FAI to high-tech manufacturing and equipment manufacturing jumped 9.7 percent and 8.2 percent respectively in the period.